Welcome to the 4th Annual Executive Advisory Council. This is a collaborative gathering of Formation Healthcare and Formation Capital partners including Operating Company CNOs and COOs, as well as various industry leaders with a mutual goal of sharing industry trends, challenges and best practices, as well as enhancing existing relationships and fostering new ones. This year's council is being held at the JW Marriott located in the beautiful Buckhead area of Atlanta. The council will open with a cocktail reception at the hotel on Tuesday evening, with informational sessions on Wednesday followed by evening entertainment at the Georgia Aquarium, the largest aquarium in the Western hemisphere. Thursday will feature a half day of sessions concluding in the early afternoon. We look forward to sharing together with our industry partners! Vice President, Value-Based Care, naviHealth, Inc.
Bio: Mr. Fuller is the Vice President for Value-Based Care at naviHealth, a company aimed at transforming the healthcare delivery system to better care for patients and improve overall costs in the post-acute care continuum. He is a recognized thought leader in post-acute care and the impact and importance of post-acute care in new healthcare reform environments. Brian is a leading expert on care integration and partnership development across the continuum, including evaluating and implementing new payment initiatives such as bundled payment models and ACOs. Additionally, he focuses on improving post-acute integration, network development and operations to better meet the goals of acute care hospitals/health systems and ACOs. He has been a featured expert, speaker or authored publications for the American Hospital Association, NPR, US News & World Report, Hospital & Health Networks, McKnight’s, ADVANCE for Long-Term Care, AHCA and LeadingAge among other leading healthcare organizations. Additionally, Mr. Fuller is a nationally recognized expert in bundled payments as one of only a few individuals in the US who has successfully submitted applications to CMS as a healthcare provider participant, consulted with hospitals and post-acute providers on bundled payment participation and was selected by the Center for Medicaid and Medicare Services (CMS) to serve as an expert panelist in application reviews for the Bundled Payment for Care Improvement initiative. Prior to joining naviHealth, Brian was a Vice President at Avalere Health, a comprehensive healthcare strategic advisory firm based in Washington, DC whose services are sought by premier organizations across the healthcare industry, government bodies, and philanthropic foundations. Through multiple consulting roles, Brian has provided strategic advice to a variety of healthcare stakeholders around new business models, care delivery approaches and partnership options. His work includes the development of Continuing Care Networks for CMS-designated ACOs for multi-hospital systems. Previously, Brian worked for eight years and was the Vice President, Business Development and Planning for Brooks Health System, a not-for-profit healthcare system consisting of inpatient rehab hospitals, home healthcare agency, outpatient rehab clinics, skilled nursing facilities, assisted living, memory care, a rehab medicine physician practice and center for rehabilitation research. Mr. Fuller is a national speaker and author on a variety of healthcare topics including bundled payments, healthcare reform, post-acute care integration and value-based partnerships and is an American College of Healthcare Executives Fellow. Bio: Christopher Redhage has founded and led a diverse set of healthcare, technology and entrepreneurial ventures. His first healthcare venture helped provide early stage investments to healthcare and technology firms. Mr. Redhage set the plans for the company’s initial investments and growth strategies. Bio: Colleen joined Frontier Management, LLC in December 2010. She has worked in the senior housing industry since 1998. Prior to joining Frontier Management, LLC, she held the Executive Director position in assisted living, memory care, and retirement communities in Oregon, California, and Tennessee. 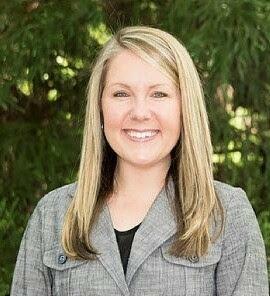 Colleen holds a Nursing degree from University of Memphis and is a licensed Administrator in Oregon and California. Bio: Dan Trigub sits on the GEHT (Government, Education, Healthcare & Transit) team at Lyft helping to build partnerships in the healthcare space. In particular, Dan focuses on Elder Mobility and finding new and innovative solutions to leverage the Lyft platform for our aging population. 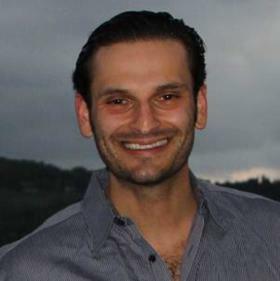 Prior to Lyft, Dan spent time working in Business Development at eBay and previously to that founded several companies including OpenPlacement which is a care coordination platform allowing hospital professionals to connect with post-acute care providers such as senior communities for their patients at the moment of discharge. Before being an entrepreneur, Dan worked in consulting and was also an Associate at GCA Savvian Advisors, an M&A and Capital Advisory Investment Bank in San Francisco where he represented emerging technology, digital health and healthcare facility companies. Dan holds a degree in economics from Vassar College. Bio: David Gifford is the Senior Vice President of Quality and Regulatory Affairs at the American Health Care Association, the largest association in the country representing long term care, post-acute care and assisted living facilities. He helped create the Quality Department at AHCA which assists providers in their quality improvement efforts and works with administration officials on regulations and policies impacting the profession. Dr. Gifford also serves on the Board of the Advancing Excellence in America’s Nursing Homes campaign and the Baldrige Foundation Board. He is a former Director of the Rhode Island State Department of Health, where he received the National Governor’s award for Distinguished Service Award for State Officials and was a semi-finalist for the Harvard Kennedy School of Government Innovations in Government award for work on the nursing home survey process. Prior to that he served as Chief Medical Officer for Quality Partners of Rhode Island where he directed CMS’ national nursing home-based quality improvement effort. He received his medical degree from Case Western Reserve University and conducted his geriatric fellowship at UCLA where he also earned his Master’s in Public Health in Epidemiology while a Robert Wood Johnson Clinical Scholar. Bio: Mrs. Thiel has worked in many facets of long-term care including; operations, clinical services, regulatory oversight, information technology and legal. In addition, she has presented at the American Health Care Association (AHCA) annual conference on HIPAA privacy and security, and at the Health Care Compliance Association’s Compliance Institute on multiple compliance topics over the last five years. Ms. Thiel is also the track chair for the post-acute care track for HCCA’s Compliance Institute. Bio: Dusty, a Board Certified Gerontology Nurse Specialist, has devoted 20 years to improving the lives of the elderly. Dusty has obtained a Masters Degree in Counseling from Portland State University as well as several degrees in Nursing, Human Development and Behavioral Health. Dusty is passionate about the care of the elderly and believes that there is no greater gift then being of assistance in the last period of someones life. Dusty joined Frontier Management in September of 2014. Being a part of the Frontier team has allowed her to have the opportunity to better the lives of the elderly through innovated services that are ready to meet the changing needs of this population. 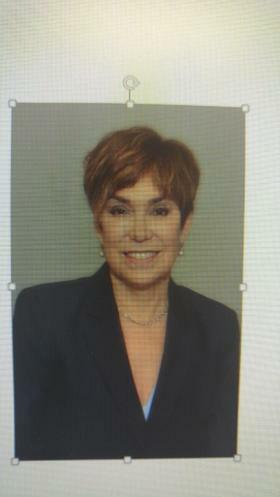 Bio: Hedy Silver Rubinger is a partner and chairs the Healthcare Practice. She also serves on the firm's Executive Committee. Ms. Rubinger’s practice focuses on the representation of healthcare providers including nursing homes, ambulatory surgery centers, assisted living facilities, physician groups, continuing care retirement communities, hospitals, home health agencies, hospices, healthcare IT companies, and ancillary service providers. She counsels clients on issues related to operations, regulatory compliance, certificates of need, managed care, reimbursement, change of ownership, and employment. She also represents domestic and foreign private equity investors in health care, REITs and other investors in health care real estate, developers of health care facilities, management companies, and lenders and has extensive experience in managing the regulatory aspects of healthcare transactions, ranging from single-facility purchases and sales to some of the largest multi-state, multiple service-line transactions. Ms. Rubinger formed the Regulatory Healthcare Transactions (RHT) Team to provide counsel for all regulatory aspects of health care transactions. The RHT Team is actively engaged in federal and state regulatory processes and regularly interacts with regulators to help clients efficiently accomplish their business goals. Ms. Rubinger has been appointed by the Department of Community Health, Division of Health Planning, to serve on a technical advisory committee charged with recommending changes to the inpatient healthcare delivery system. Through Ms. Rubinger’s diligent work with her healthcare clients, Arnall Golden Gregory was recognized for accomplishments in delivering transformational client experiences at the fifth annual Client Advisor Awards in the “Large Professional Services Firm” category. She is also a frequent author and lecturer on issues relating to healthcare providers. Ms. Rubinger has recently served as a contributing author for the Fifty State Survey of Certificate of Need and Licensure: Nursing Homes, Assisted Living, Home Health, and Hospice (American Health Lawyers Association, 2009) and the Healthcare Reform Law Resource Guide (American Health Lawyers Association, 2010). Bio: John Randolph, based in Atlanta, GA, is a Senior Mortgage Banker with KeyBank Real Estate Capital. John focuses his efforts originating and structuring permanent loans through Key’s healthcare capital markets platform. John is particularly well versed in the FHA 232 LEAN program, having successfully originated over $1 billion of FHA 232 transactions during his career. He has over 20 years of corporate banking and lending experience - ten of which have been centered in the healthcare and seniors housing sectors. John received both a MBA in Finance and BA in History from the University of Mississippi, Oxford, MS.
Bio: Kathleen Ryser is a Director of Credit and Underwriting at Freddie Mac, participating in the origination and securitization of seniors housing mortgages nationwide. She has been with the Freddie Mac's seniors housing group for 4 years and with the company for 15 years working on conventional and affordable loans as well as building a technology platform to process Multi-family loans. Kathy has spoken at various Freddie Mac Seller/Servicer conferences on topics that support transparent credit guidelines as well as improving the speed of execution. Bio: Kelly Sheehy is a Managing Director at Formation Capital, where he helps oversee Formation’s effort to identify new investment opportunities in real estate and healthcare private equity. Since joining Formation Capital in 2011, Mr. Sheehy has led the execution of over $2.2 billion in new investments across all investment types. In addition to leading the recent $1.0 billion real estate sale of healthcare assets to NorthStar Realty, he was directly involved in and led investments in TridentUSA, Tandem Health Care and the Ranger Assisted Living Portfolio. Prior to joining Formation Capital in 2011, Mr. Sheehy worked at JER Partners, a private equity real estate firm, where he was a Vice President and was involved in a number of equity and M&A transactions, including the take private and sale of Genesis HealthCare. Mr. Sheehy serves (through 2014) as the Chairman of the Future Leaders Council for the National Investment Center for the Senior Housing and Care Industry (NIC). Mr. Sheehy received a B.S. in Commerce from the McIntire School at the University of Virginia. Bio: Maribeth Bersani has worked in the field of aging for over 30 years. Currently the COO of Argentum, she previously served as the organization’s Senior Vice President of Public Policy for 10 years. Argentum, formerly the Assisted Living Federation of America, is the largest trade association representing senior living providers. Prior to joining ALFA, Ms. Bersani worked for Sunrise Senior Living for ten years. She was the Executive Director of Sunrise of Alexandria Virginia, a Regional Director of Operations and National Director of Government Affairs. Ms Bersani also served as Executive Deputy Director of the New York State Office for the Aging serving under Governor Mario Cuomo. Ms. Bersani has a Masters Degree in Gerontology from the Davis School of Gerontology at the University of Southern California. Bio: Mark Parkinson is the President and CEO of the American Health Care Association (AHCA), which represents over 13,000 skilled nursing facilities and assisted living centers. Parkinson served as the 45th Governor of the State of Kansas. Prior to that, he was the owner and operator of long term care facilities in Kansas and Missouri. Under Parkinson’s leadership, AHCA focuses on delivering policy solutions to the Hill and CMS, with a special emphasis on quality care. AHCA is now the largest Association in long term care and is at record membership. His vision has brought Parkinson recognition. He has been named a Top Association CEO by CEO Update and a top lobbyist for 2013, 2014 and 2015 by The Hill, a leading Capitol Hill newspaper. Parkinson also has the distinction of being selected as one of the “100 Most Influential People in Healthcare” by Modern Healthcare in 2015. Bio: Robert A. 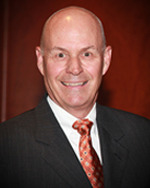 “Mike” Reitz serves as President and COO for Genesis HealthCare. With over 40 years in the long-term care field, Mike has broad based experience ranging from day to day nursing home operations, as an Administrator, Regional Director, Corporate Director of Human Resources, Vice President of Operations and VP of Administration and Product Development. Joining Genesis in 1992 via acquisition, Mike has served in multiple operating positions, assuming the Chief Operating Officer position in 2003. Mike received a Bachelor of Science Degree from Murray State University and has done graduate coursework at Loyola University in Baltimore and University of Baltimore. In addition to his professional activities, Mike has had significant involvement in the Alzheimer’s Association of Greater Maryland where he has served as a Board member and Chapter President. Bio: Nancy is with Prestige Healthcare Corporation as SVP of Managed Care and Network Development. She has thirty (30) plus years experience in long term care operations, managed care contracting, strategic initiatives and contracting ancillary services, underpayment recoveries and as a reimbursement specialist. Nancy’s tenure has been working for Humana, Kindred Healthcare, Baptist Hospital East, Transitional Hospital Corporation, and Johnson and Johnson and now apart of the Prestige Family. Bio: Nick Stupakis currently serves as Vice President of Highmark Health Home and Community Services, a newly created company within Highmark Health, the third largest integrated healthcare delivery and financing network in the nation. The vision of Highmark Home and Community Services is to transform quality, service, and value in the post-acute space through an innovative payer-provider network management model. Nick joined Highmark Health in 2016, after initially serving as Director of Post-Acute for Diversified Services at the Allegheny Health Network. Nick helped to lead strategic planning and program development for AHN’s Healthcare@Home initiative, which aimed to simultaneously maximize clinical outcomes on the delivery side while optimizing member costs for their payer network. The Healthcare@Home model serves AHN and non-AHN acute care hospital systems, physician practices, and post-acute care healthcare organizations such as skilled nursing facilities and LTACH’s. 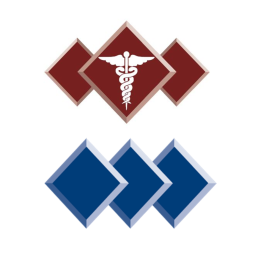 This program leverages a team of transitional care coordinators and a portfolio of integrated companies (Home Health, Infusion, Medical Equipment, Palliative Care and Hospice) to deliver differentiated quality, service, and value for patients and key stakeholders for post-acute and chronic disease care. Prior to AHN, Nick worked in the Skilled Nursing and Homecare industries and played key roles on regional and national strategy teams for growth and innovation. A graduate of the University of Pittsburgh’s College of Business Administration, Nick brings a unique skill set to the healthcare industry which adapts traditional business development concepts in ways that facilitate highly-integrated and efficient care delivery models. Bio: Robin Correll is a registered nurse with over 19 years of experience working with individuals with intellectual and developmental disabilities. She received her Bachelors of Science in Nursing in 1994 and her Masters of Science in Nursing in 1999 from the University of North Carolina at Charlotte. She received her Doctor of Nursing Practice from Samford University in Birmingham, Alabama in 2012. She has a wide variety of clinical experience and has worked in acute care, long-term care, intellectual and developmental disabilities, and behavioral health. Dr. Correll has been with RHA Health Services since 1999 and currently serves as the Vice President of Nursing Services. Her current responsibilities includes oversight of nursing and clinical services in North Carolina, Georgia, and Tennessee. Bio: Corina Tracy, Executive Vice President & Chief Operating Officer Corina Tracy serves as executive vice president and chief operating officer for Compassus. Since 2003 she has held various leadership positions with the company, including director of clinical services, executive director, regional director of operations, and senior vice president of clinical services. 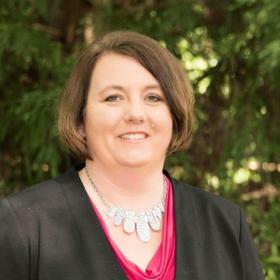 Prior to joining Compassus, Tracy served as clinical manager for St. Luke’s Hospice in Cedar Rapids, and hospice liaison for Genesis Medical Center Hospice in Davenport, Iowa. She also directed a free medical clinic in Iowa that recruited physicians, nurses, spiritual leaders, and pharmacists to volunteer their time and services to assist the poor in the community. Tracy is an End-of-Life Nursing Educator and held the designation as a Certified Hospice and Palliative Nurse for many years. She is a member of Leadership Health Care, an initiative of the Nashville Health Care Council. Tracy holds degrees in nursing and business. Bio: JoAnne Reifsnyder is a seasoned nurse executive with more than 36 years of experience in clinical practice, administration, consulting, education and research. Dr. Reifsnyder has held executive and leadership roles in both for profit and not for profit health care settings. She is currently Executive Vice President of Clinical Operations and Chief Nursing Officer for Genesis HealthCare headquartered in Kennett Square, PA. Prior to joining Genesis, she was Senior Vice President, Care Transitions, with Moorestown, NJ-based Care Kinesis, LLC. In this role she served as a consultant to Genesis HealthCare and to Bayada Nurses, working with executives and clinical team members to develop a skilled nursing facility to home transitional care model for vulnerable older adults. Dr. Reifsnyder was formerly Chief Quality Outcomes officer for excelleRx, Inc., a Philadelphia-based medication management therapy company. She was also co-founder and partner in Ethos Consulting Group, LLC, a company focused on program development, education/training and research/evaluation to advance end of life care. She was formerly the Director of the Hospice Program for the VNA of Greater Philadelphia and was Director of Patient Services for Samaritan Hospice in Marlton, NJ. Dr. Reifsnyder completed a postdoctoral fellowship in psychosocial oncology at the University of Pennsylvania School of Nursing, and holds a PhD in nursing from the University of Maryland, a Master’s Degree in Business Administration from George Washington University, a Master’s Degree in Nursing from Thomas Jefferson University, and a BSN from Holy Family College. In 2002 Reifsnyder co-developed and was the coordinator of a palliative care minor at the University of Pennsylvania School of Nursing, and taught both core courses to nursing, social work and medical students. 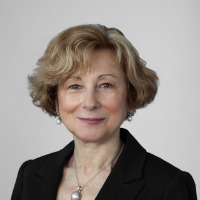 In 2009 she led the development of a Masters’ program in Health Policy and the first Masters’ program in Chronic Care Management at Jefferson College of Population Health (JCPH), Thomas Jefferson University in Philadelphia, PA. She holds adjunct faculty positions at the University of Pennsylvania School of Nursing and the University of Maryland School of Pharmacy. Dr. Reifsnyder was President of the Board of Directors for the Hospice and Palliative Nurses Association (HPNA) in 2012, and currently serves on the Board of the Hospice Foundation of America. She is a member of American Nurses Association, the American Organization of Nurse Executives (AONE), Women Business Leaders (WBL), the National Gerontological Nurses Association (NGNA), HPNA and Sigma Theta Tau International, the Honor Society of Nursing. She is a fellow of the American Academy of Nursing. Dr. Reifsnyder has authored numerous abstracts, papers, and book chapters and was an editor of a 2011 multi-authored text, Population Health and co-author of Nurse’s Law published in 2014. Bio: John Stibley joined KeyBank in August 2010, and currently holds the position of Senior Vice President, Deputy Chief Underwriter for the FHA Healthcare department. Previously, John worked as FHA Chief Underwriter at Great Lakes Financial Group for 5 years mainly underwriting and developing affordable housing projects including low-income housing tax credits. John has more than 15 years of commercial real estate experience, including 11 years specializing exclusively in the FHA multifamily MAP underwriting program and 5 years in healthcare. John Stibley received his HUD/MAP designation in August 2009, his HUD/LEAN designation in August 2013 and is a Certified Public Accountant (CPA). John has lead the underwriting on multiple healthcare portfolios and projects which includes over 100+ skilled nursing facilities with over $1 billion in loan volume. Bio: Kathy Smith is the Chief Operating Officer of RHA Behavioral Health. Dr. Smith has worked in the field of Mental Health, Developmental Disabilities, and Substance Abuse for over 20 years. As a psychologist, she has worked in small and large state operated facilities, the public school system, private practice as a therapist and consultant, and the private not for profit and for profit sector. She has had the opportunity to experience and participate in significant reform in MH/DD/SA services in both Georgia and North Carolina and support both private practitioners and large programs in making the shift. Dr. Smith has worked with RHA for over 10 years and, prior to becoming COO of Behavioral Health in October 2012, functioned as Chief Clinical Officer for RHA. Dr. Smith was integral in the development of the behavioral health division of RHA in 2006 and has participated in the growth of these services resulting in RHA being one of the largest BH providers in NC. Kathy received her undergraduate degree from Virginia Tech and her doctorate from University of Georgia. Bio: As the owner/operator of two successful Nurse Practitioner practices serving Ohio, Michigan and Pennsylvania, Lisa Costa brings a wealth of experience and knowledge to TridentUSA. 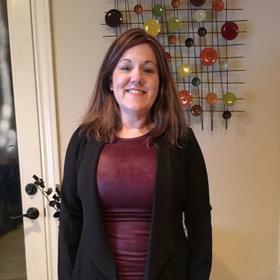 Prior to her experience in nurse practitioner geriatric practice management, Lisa had an extensive background in sales and marketing, having previously worked for several Fortune 500 companies including Cablevision, Time Warner Cable, Adelphia Media Services and Deluxe Corporation. Lisa began her career in healthcare at an affiliate hospital of the Cleveland Clinic as Director of Clinical Services managing Radiology and associated clinical departments. 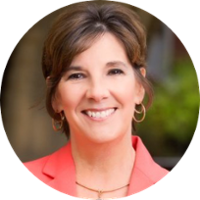 For the last nine years, Lisa has overseen the growth and expansion of two Ohio based nurse practitioner companies, Geriatric Nurse Practitioners and InfinityNP, which provided services to skilled, long term and assisted living facilities. Lisa is a member of American Medical Directors Association (AMDA), Ohio Health Care Association (OHCA)and the Ohio Association of Advanced Practice Nurses (OAAPN). Receiving her education from The Ohio State University, Lisa is a proud Buckeye. Lisa lives outside of Cleveland, Ohio with her husband Carl and enjoys travel and equestrian competition. 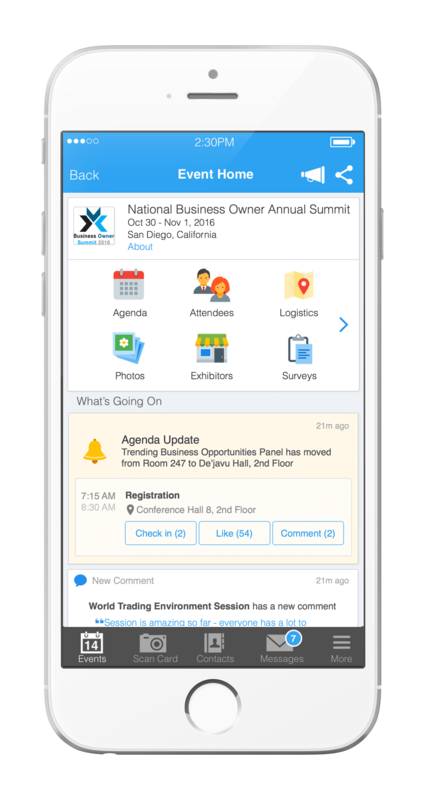 Attendees please download Whova event app, to access the information of all 27 speakers.